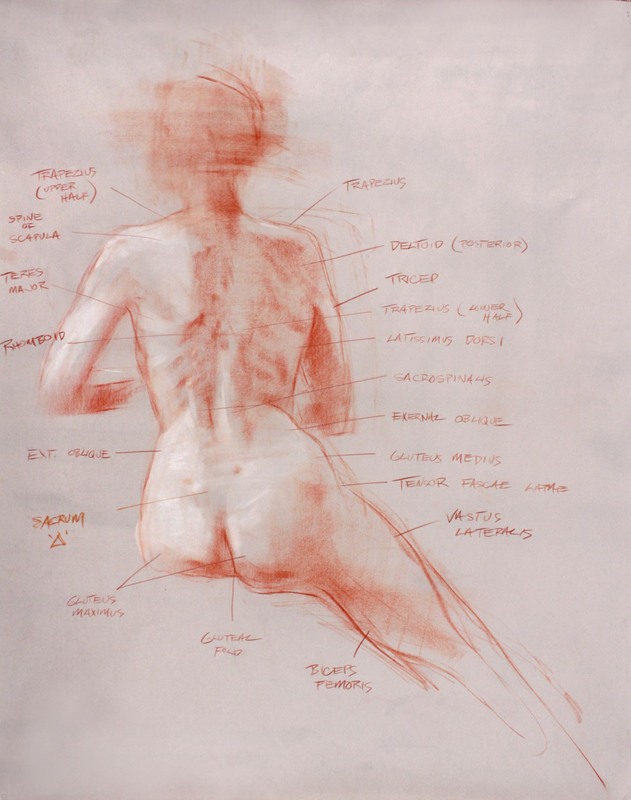 In this uniquely designed series of 3-hour anatomy sessions, Justin will lecture for the first hour examining the underlying skeletal and muscular structures of a specific body part, followed by two hours of drawing demonstration. During the lecture, students will receive photocopy handouts of the skeleton, and are encouraged to overlay the muscular structures, step-by-step. 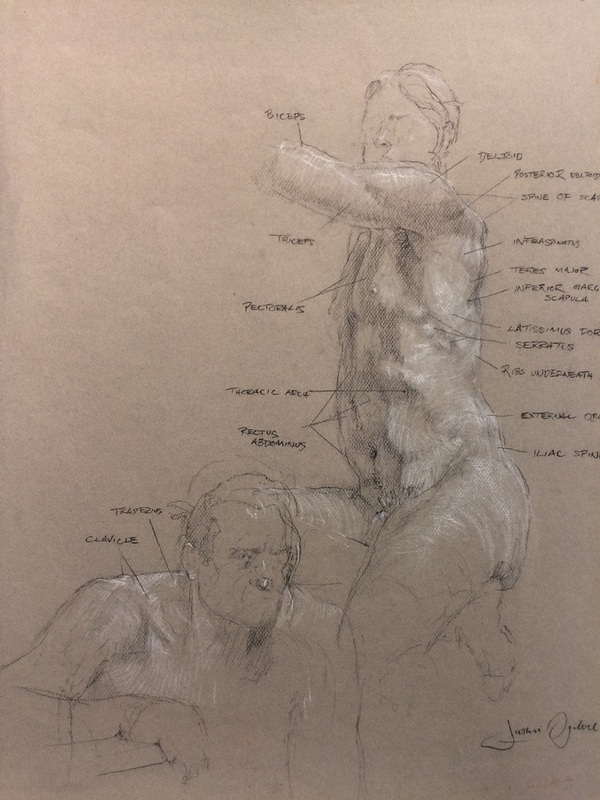 During the drawing demonstration, Justin creates both realistic drawings, as well as simplified geometrical shapes to integrate anatomical knowledge into your drawings. Select desired class from the 'Dates + Sessions' section on this page and click on it to register.